The role of social media is rapidly evolving, but education can still be a part of those interactions. I am a millennial. I was a college freshman when Facebook exploded in popularity, and although I was reluctant to join I have been a part of the social media giant’s clientele long enough to watch it mature over several turbulent phases. There was a time when Facebook was essentially a repository for mementos from the past weekend’s… social activities. The idea of having more benign social interactions via social media like Facebook and Twitter still doesn’t sit quite right with me, but I would argue that is indicative of my increasing age and not the current role of those services in students’ lives. That shift also means social media can play a role, albeit a dynamic one, in education. My AP Biology students have always formed an AP Bio Facebook group to collaborate on their work throughout the year. I never suggest it to them and I refuse to be a part of it personally, and yet every year it happens. Biology is a big part of their lives and so it is perfectly natural that they have it represented in their social media presence. Later in the year we use the group to share lab data, organize review sessions, and get help on difficult material when there are questions. This kind of peer support is amazingly valuable, and this kind of behavior is something many teachers try to force with very limited results. Somehow, Facebook is better at encouraging scientific collaboration than I am. My Biotechnology program is also wrestling with communication problems this year. I spent at least 12 hours during the summer setting up an online lab notebook system. There were spaces for each individual research project, organized tables for data, systems for assigning tasks and culturing deadlines, and much more functionality that would allow the whole lab to run seamlessly without any direct daily supervision from me. Not one single student wanted to use it. One of my students developed a system in 30 minutes that I couldn’t get off the ground after a dozen hours and several weeks of prompting with students. All of this experience with social media has led me to the conclusion that most of us will struggle to predict the role of social media in our students’ lives in the future. Where we are now is not where we were five years ago, and I’m betting we’ll be somewhere else again in five more years. However, we don’t have to understand or fully control social media to make use of it in facilitating student learning. A recent assignment I gave required students to summarize life cycle information into a “tweet” format. This was good practice with summarization, and provided the logical extension that students could tweet at me if they wanted to. I don’t maintain an educational Twitter account. I tweet a couple times a month, and they are just as often silly musings as quality content. Despite the unpolished nature of my account, it is authentic and real. 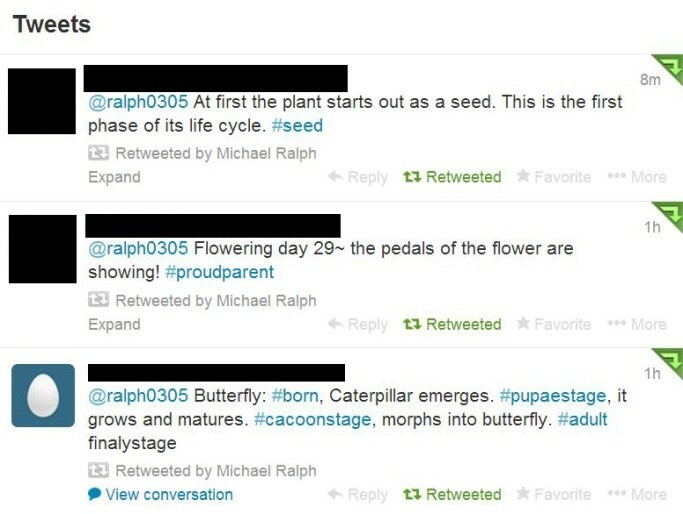 Students were immediately engaged by the legitimate nature of the interaction, and have taken to the Twitterverse to come up with interesting or clever tweets about their organisms. I actually had students follow my account while I was still giving instructions for the assignment. All it took was a little encouragement and willingness to try. Don’t force it, but recognize when students could really use what is already a big part of their lives to engage with your content. Students may surprise you with the great ways they can use their social media to enhance their learning, because they sure surprise me. Every day, students are using social media, but they are not the only ones using websites to stay connected. Classrooms are also employing websites like Edmodo which are valuable resources for students to keep up with their homework during their busy lives. The Biotechnology Lab group at Olathe East High School in Olathe, Kansas is currently conducting research on methanotrophs(prokaryotes that utilize methane as their sole source of energy) in the local area. With students in differing grades, it can be difficult to find a time to meet. 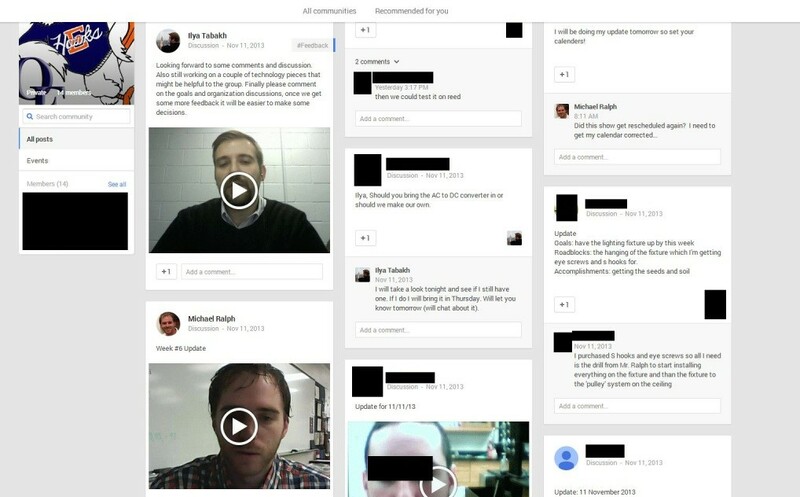 To keep connected, everyone is on a Google+ Community to stay updated on lab progress,upload videos, and write posts on individual progress. By allowing students to upload videos of them speaking, those who dislike writing are still able to get their point across clearly and efficiently. This way, students are able to get information from other students from both school and home. Another website that the Biotechnology Lab uses to store files is Sparklix. This website holds files that the teacher uploads, and the lab participants are able to view and save them. Social media may be a large consumer of precious time in students’ lives nowadays, but when used correctly, it also helps students learn and stay connected with their teachers and peers. Facebook is still not a good place to create a primary class website (heck, it’s blocked in most buildings anyway). I don’t follow my students on Twitter, but I allow them to follow me so maybe I can sneak some science into their lives outside of school. I think social media can be valuable if we don’t take ourselves too seriously and are willing to use the media in an organic and authentic way. Be funny, be social, and let the science happen on its own. Michael–my fault–it is David K. not Davis….I had a typo when I added him to the users list. You raise an interesting question Davis. I would argue using social media with students and using it in a professional development context are two different applications that are not equivalent. I do agree there are some great resources and collaboration opportunities on both the AP community (which is much easier to use since the move away from the list-serve) and in the Twitter conversations. I have lurked on both, but you are right I have not often actively participated. Despite the frequently cited, “We must all make decisions about the allocation of a finite quantity of time to which we have access,” I would be interested in having a more detailed discussion regarding the use of online professional development resources if you would be interested in exchanging emails. Perhaps that discussion could be something we could share with everyone in a future piece. I think the author does a good job of discussing some of the major considerations that instructors should consider when determining how best to integrate social media into their own courses. Issues of authenticity are good to keep in mind, in all aspects of a course, and social platforms are no exception. Similarly, considerations related to fostering student ownership resonate particularly with me, as I have always found the best success in using social platforms to come when my students are the main authors of the platform from the digital basement up to the ceiling. Finally, I might encourage the author to avail himself a bit more of social media for his own professional learning network. Is it appropriate for a young teacher to not be participating in the conversations that are happening every day on twitter and similar platforms among progressive educators who are thinking about the same sorts of things he is? And why does he never stop by our little neck of the woods to tell us what he is doing and why he is doing it (if even just to post links to his larger writings, elsewhere)? Now that your students are using the tools effectively, perhaps it’s time for you to model similar modes?